If you have any questions or need further assistance, please call our customer service team at 319-352-3334 or email legals@waverlynewspapers.com. 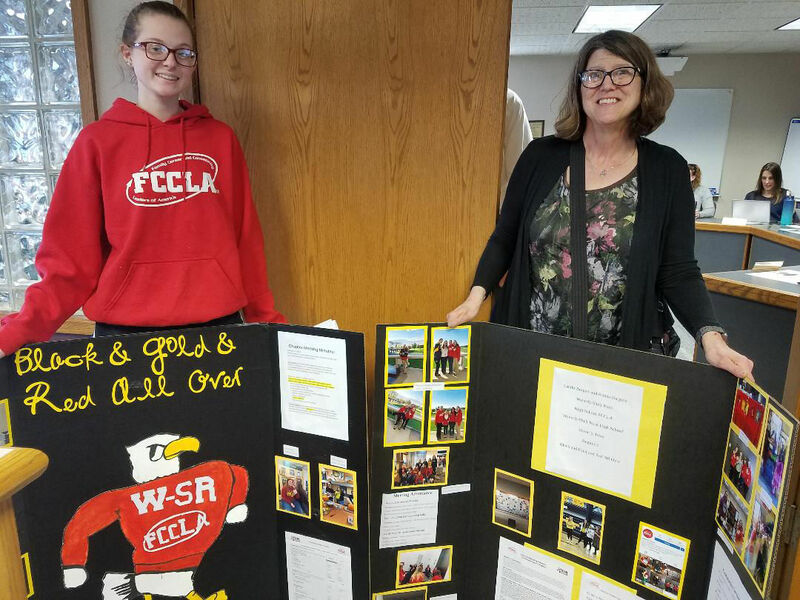 McKenna & partner Landri presented their FCCLA project, “Our FCCLA Chapter in Review.” They were part of a presentation for the chapter’s request to attend the national competition in Anaheim, California, this summer. The April meeting of the W-SR School Board saw the adoption of the 2020 certified budget, transference of general funds to the student activity fund for the purchase of sports equipment, bid acceptance for restroom facility upgrades, results from two standardized tests, and three student testimonials. A willingness to make tough decisions and understand complex financials at monthly meetings may be the clouds for those elected to any school board. The silver lining arises when students and teachers passionately tell board members about their work. Three April student testimonials point to active student engagement coached by caring professionals. No comments were heard at the public hearing for the 2020 Certified Budget, which unanimously passed. “This will decrease our carryover in the next 12 months. 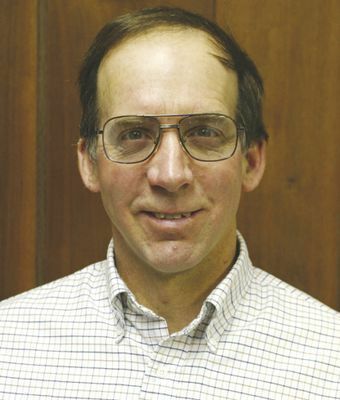 It’s a nice position to be in to do this and still be in good shape,” said long-standing Board member Dennis Epley. Other financial news included the unanimous vote to transfer $15,600 from general funds to the student activity fund for the purchase of football helmets and shoulder pads. “This is required safety equipment which has an expiration date. Most of these were purchased after the flood (2008) and now need to be replaced,” explained Superintendent Klamfoth, who added that the approximate cost per helmet is $400. From a field of five bidders, Huff Contracting Inc. Waterloo, won the successful bid of $104,970 for renovation of high school teacher restroom facilities which will begin this spring. Testing is an annual school spring rite and Bridgette Wagoner, Director of Ed. Services provided the board with a snapshot of tests and results. The Iowa Assessments (ISASP) are new this year and unique to Iowa students grades 3-11. Tests are linked to the Iowa Core standards and meet federal Every Student Succeeds requirements. To test writing, students produce essays. A second set of tests, the Universal Screening Data assesses students in reading, math and social-emotional wellness. Essay test results will not be available until August or September but other scores indicate 81-87% of students meet or exceed benchmarks. “The tests provide feedback for individual students as well as buildings and grade levels,” Wagoner said. Rigor or complexity has increased, she noted. Wagoner credited the W-SR tech staff and purchase of Chromebooks for making the untimed online tests run smoothly as piloted in elementary buildings. With obvious pride, Lied Center Principal Donita Dettmer introduced senior Jaylin Ceasar and his instructor Casey Klunder, who first suggested a meet-up between Ceasar, who was interested in writing and Waverly Newspapers editor Anelia K. Dimitrova. “The Lied Center helped me open up. I have a great support system. It’s an alternative school that gave me a plan for success,” Ceasar said, who was a once-reluctant student and now frequent contributor to Waverly Newspapers. He explained the importance of writing in his life, which included nine schools and six foster homes since middle school. “What you have can’t be taught,” Dimitrova told Ceasar. Through his published writing have come offers of adoption and “celebrity status.” Ceasar plans to study journalism at Hawkeye after graduation. “I call it the transformative power of journalism,” said Dimitrova, who first hesitated to take on Ceasar as an intern but has since taken him to the UNI journalism classes she teaches. “It’s opened more doors with us as far as work experience for our students, so for that we thank Jaylin,” Klunder added. Special Education instructor Michelle Kappmeyer introduced a second success story, that of Evan Ellsworth, whose individual educational plan (IEP) included high school work training experience guided by Activity Director Dave Litterer. Ellsworth described his learning-to-work experience in the weight room, cleaning and carrying heavy mats and labeling conference medals. “I had to learn to ask questions, and do jobs from start to finish, even if I didn’t like them. All the tools I learned helped me get a job,” Ellsworth said. The junior is now employed part time by the Bartels Community. Enthusiastically, junior Kenna Burgess shared her experiences gained at local, district and state FCCLA events (Family, Career and Community Leaders of America). Competing last week, 13 of 34 W-SR middle and high school students are eligible for national FCCLA competition June 28 to July 4 in Anaheim, California. “FCCLA helps to build a better sense of community through service projects. I have seen members grow from quiet followers to assertive leaders,” instructor LuAnne Bibler said of the program. The Board approved out-of-state travel for students with Bibler and parent chaperones. Students will raise funds by providing desserts after the high school play and at middle school concerts. The next meeting of the W-SR School Board is May 13 at 6:30 p.m. in the District Business Office.